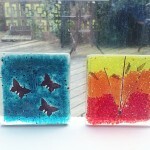 Some lovely pieces made today! 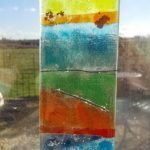 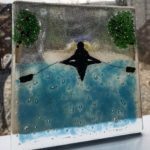 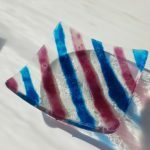 This entry was posted in Uncategorized and tagged float, Float course, Float glass on February 4, 2018 by admin. 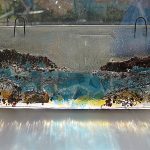 This entry was posted in Uncategorized and tagged float, Float course, Float glass on October 30, 2015 by admin. 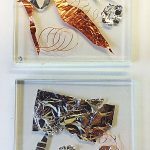 Another lovely group last weekend and some lovely work, I’ll post the before and afters with the metals later today, meanwhile enjoy what you’ve made although the pics don’t so them justice! 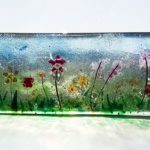 This entry was posted in Uncategorized and tagged float, Float course, Float glass on January 20, 2015 by admin. 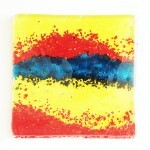 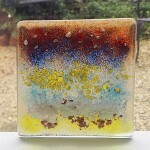 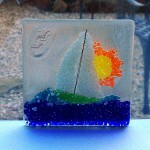 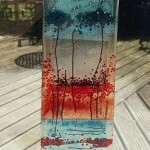 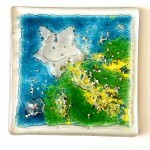 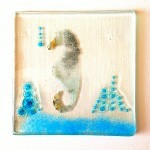 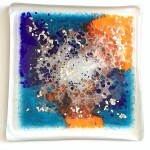 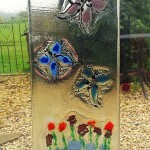 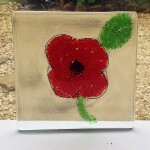 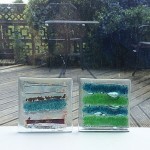 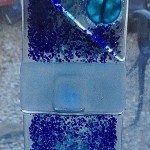 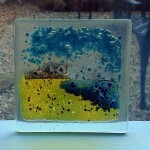 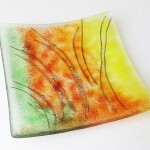 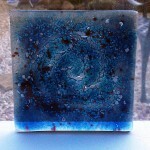 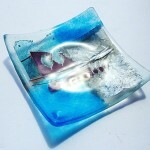 Wow, what can we say, there are some truly amazing pieces come out of the kiln this week. 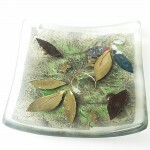 The bowls are slumping now but again, wow! 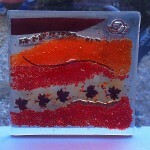 A great pleasure working with you all and we hope to see some of you on another of our courses soon. 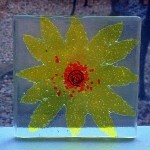 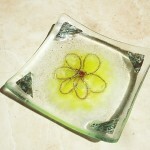 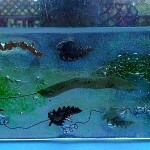 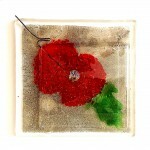 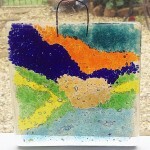 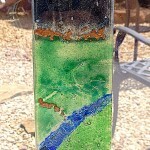 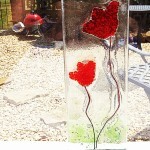 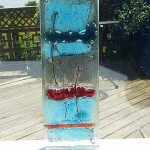 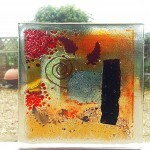 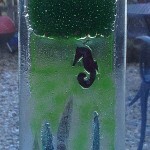 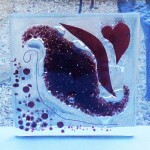 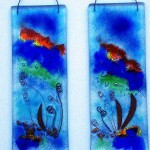 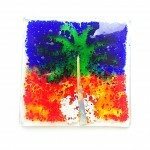 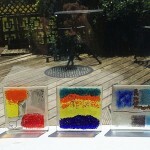 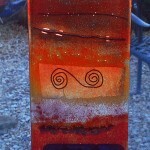 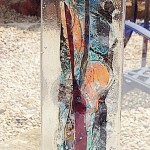 This entry was posted in Uncategorized and tagged float, Float course, Float glass on July 25, 2014 by admin. 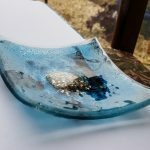 Here are the photos of some of your lovely pieces! 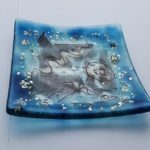 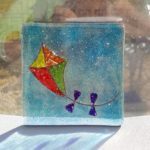 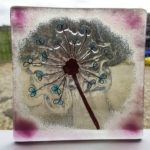 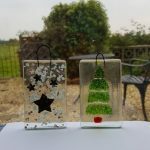 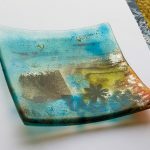 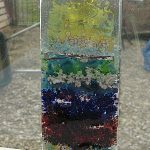 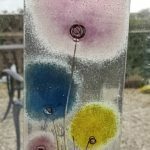 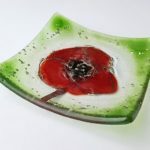 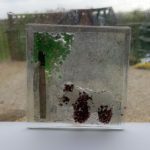 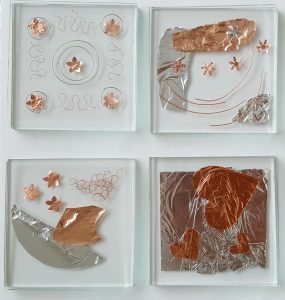 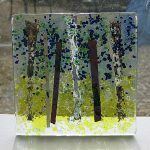 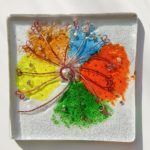 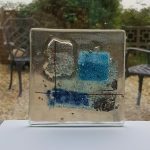 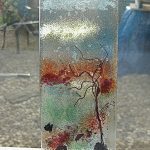 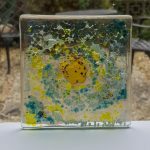 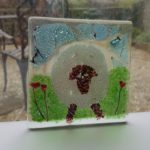 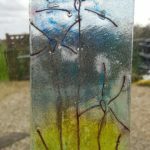 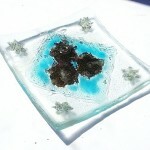 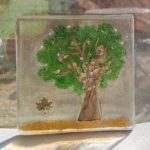 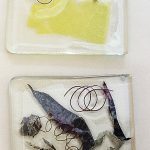 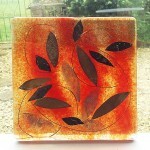 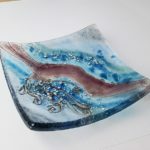 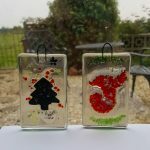 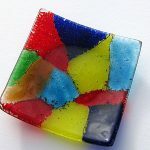 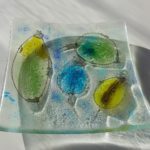 There are many that are striking and some fantastic combinations of materials, particularly the work with the metal leaf and foils and how these have been combined with frit (coloured crushed glass). 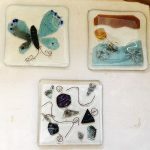 I noticed lots of great bubbles in these pieces so hopefully my new teaching sample is beginning to work although happily there is still a fair amount of alchemy occurring in the kiln. 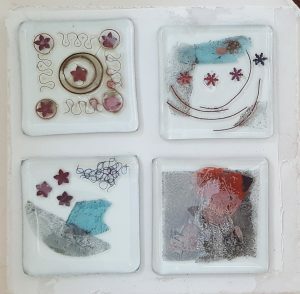 To be honest lifting the lid of the kiln, for my own work and that of students, is always a ‘breath in’ moment and usually then breathing back out with a big sigh of relief. 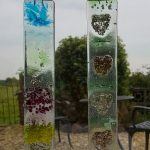 I hope that you are all pleased with these folks and apologies for them being posted to the blog later than normal as our kitchen floor was being dug up. 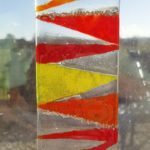 We now have a much smarter, shinier floor and as we hoped the area is now flooded with light making glass making much easier. 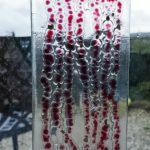 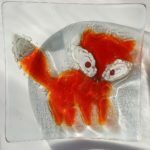 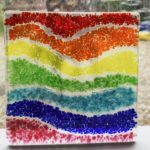 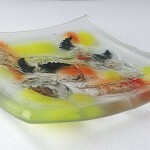 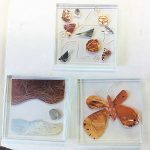 We would love to see you on another course and we have just listed our new intermediate float course (here) where there are lots of new materials and methods to play with. 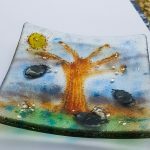 Hopefully we will see you all again soon and in the meanwhile I hope you are having a sunny day wherever you are as we are in Oxford today. 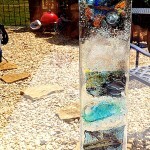 This entry was posted in Uncategorized and tagged Float course on June 3, 2013 by admin.